We can certainly learn something new each day. Take for instance the talk that Marie gave in the council meeting today. Rusty was really struck with the thought about the many tourists coming in and the need to showcase FarmVille’s rich history. So, he’s suggesting that we make our own official map. 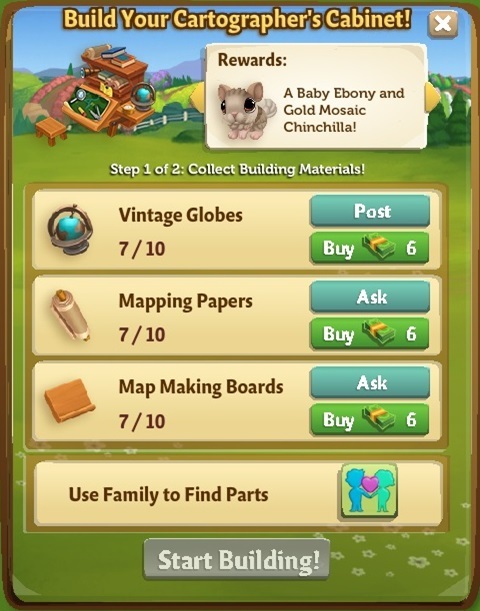 You can help set up a Cartographer’s Cabinet and you’ll get a baby Ebony and Gold Mosaic Chinchilla as your reward. 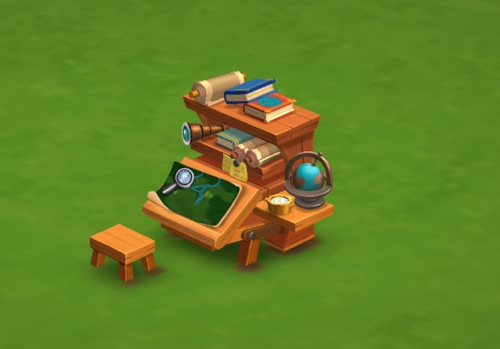 If you are level 15 or higher, the “Cartographer Extraordinaire!” popup will appear. Click on the “Place Buildable!” button to begin this feature. To start building the cabinet, collect all the materials you need. 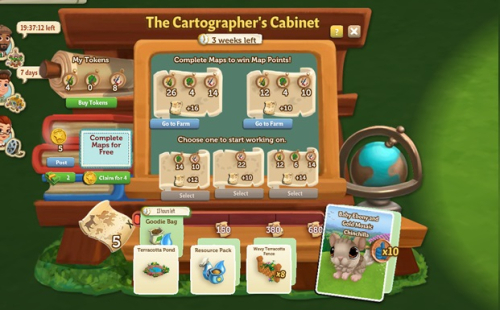 Begin creating maps by clicking on the Cartographer’s Cabinet. To create maps, you need to collect Tokens. Each map you make will give you Map Points. 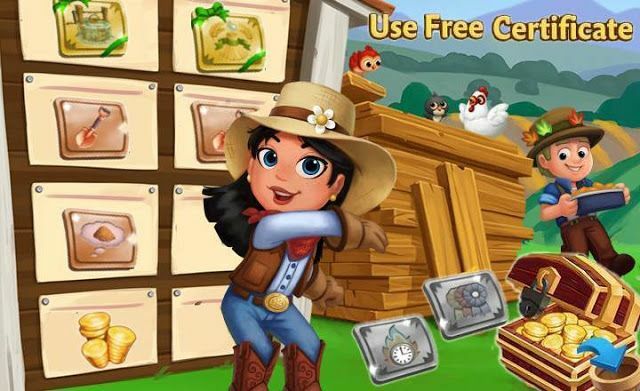 Keep track of the number of Tokens you have collected by checking the counter at the left side of the menu. Take note that each Map needs a specific number of Tokens and gives out different Points. A check mark means that you have collected the needed number of Tokens. Click on the Complete button to make the map. 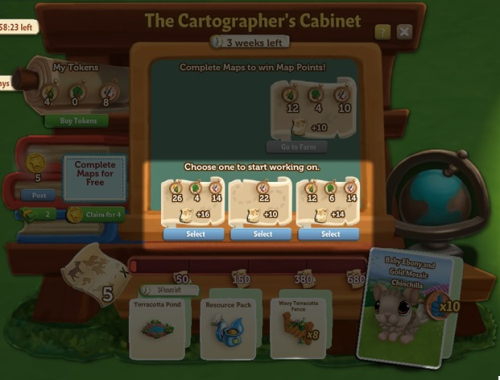 After you have completed a Map, you can choose another map from the selection in the menu. Take note, once again, that each option requires a specific number of Tokens and awards different Points. You can complete maps faster with the use of Helper Cards. 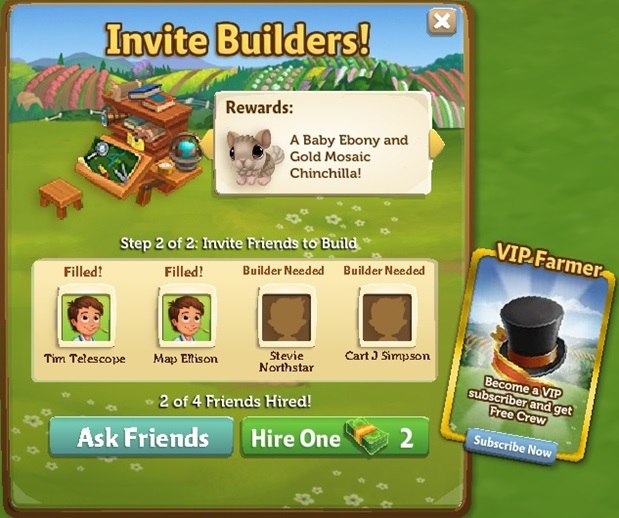 If you need more Helper Cards, you can always ask your friends for Chips or buy them using Farm Bucks. 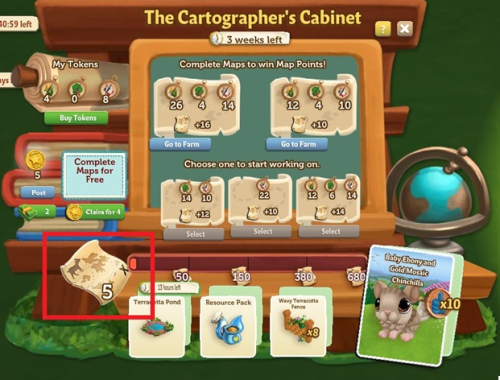 Know how many Map Points you’ve earned by checking the counter at the lower left corner of the menu. 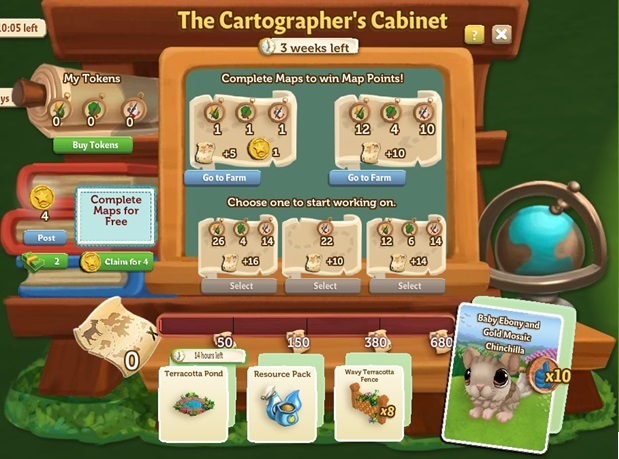 When you reach specific milestones in the Cartographer’s Cabinet, you’ll start earning rewards. The orange bar will show your progress. Get Bonus Rewards when you reach the milestones before time runs out. You can view the bonus by hovering over the rewards. 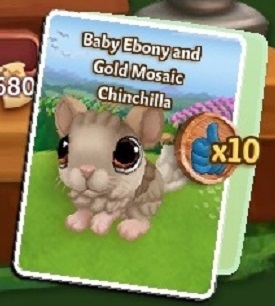 Collect all the Map Points to win the baby Ebony and Gold Mosaic Chinchilla and 10 Favors! 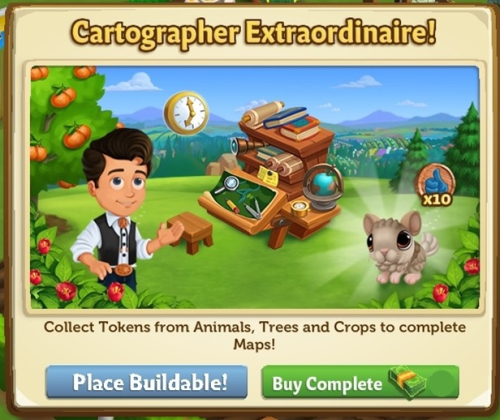 Start showcasing FarmVille’s rich history with the maps you created and win awesome rewards!